The Scoop: SpiritualSingles.com is a niche dating site designed to help spiritually awakened individuals meet one another and build relationships based on shared values. Being spiritual means something different to each person on the site. Some are just into meditation, while others follow a deeply holistic lifestyle. Since its launch in 2000, Spiritual Singles has united this diverse community and invited its members to keep an open mind and heart when seeking a conscious partnership online. The site’s open and welcoming environment facilitates conversation and creates a feeling of goodwill among members. By operating with high integrity, Spiritual Singles has cultivated a loyal following, and the team continues releasing new features and weekend retreats to satisfy the needs of spiritual singles everywhere. A philosophy of generosity and kindness motivates Jill Crosby, the owner of SpiritualSingles.com. She launched a niche dating site for the spiritually conscious in 2000 after seeing for herself how difficult it could be to find a compatible date on a mainstream dating site. 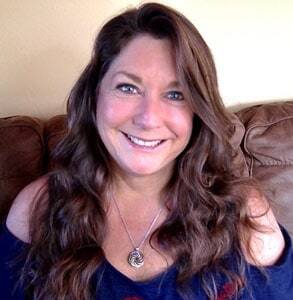 Jill Crosby launched Spiritual Singles as a dating solution for enlightened singles. She envisioned a dating site where singles could share their spiritual values without judgment or restraint. Today, SpiritualSingles.com represents one of the largest niche networks of conscious daters looking for friendship and romance. The dating site’s affordable membership plans and straight-up design has fostered deep connections. Spiritual Singles has a loyal membership base and adds over 2,500 members every week. Its members don’t just sign up and then disappear — Jill told us the conversion rate from free to paid membership is over 20%. “Being generous creates a nice win-win for Spiritual Singles and our members,” she concluded. Since its launch, Spiritual Singles has grown largely by member referrals, which Jill sees as a sign that the dating site is working and making people happy. Spiritual Singles may be an 18-year-old site, but the team’s recent updates have made it look shiny and new again. The dating site recently consolidated its messaging system so that conversations appear on one thread — effectively eliminating the dated Outbox. The new system also got rid of the subject line in chat messages, thus making the user’s inbox look more modern and less cluttered. Spiritual Singles allows members to send pre-written messages for free. Users who have chosen to use Private Mode, which is a paid feature, can choose to decloak if they want the person they’re visiting to receive a notification. Some users choose to decloak to indicate interest by showing their crush they’re thinking about him or her. Other users prefer to stay under the radar as they browse for dates. 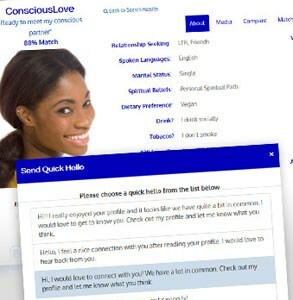 SpiritualSingles.com’s chat policy also makes the dating site stand out because it allows free members to read and respond to any message sent by paid members. Singles only need to pay a subscription fee if they want to be the first one to send a message on the dating site. Spiritual Singles empowers its free and paid members to make the most of their experience and engage in a conversation with as many people as possible. Jill said her communication system encourages members to respond, even if the answer is no, so everyone feels heard. Jill said she looks to her users when seeking ideas for how to grow or what to do to make online dating easier. Many of the new features on the dating site came from a suggestion made by a member. That feedback helps Jill understand her audience and create a better environment that’s customized to suit them. Last year, Spiritual Singles released a mobile-friendly and modern version of the dating site that included a shorter and faster signup process. Jill had originally thought abbreviating the process would increase registrations, but the last year of data shows that it leads to users having incomplete profiles, which decreases their chances of meeting someone. Spiritual Singles welcomes people of all ages, sexual orientations, religious beliefs, and backgrounds. Jill said she wants everyone on her site to have the best opportunity possible to meet someone, so that means they must have full profiles. The Spiritual Singles design team is currently working on a compromise between a the current abbreviated signup and the overly detailed 10-page version of the past. Their goal is to motivate singles to create in-depth profiles by answering several multiple-choice questions along with at least one essay question. By emphasizing quality from the beginning, Spiritual Singles aims to attract more quality singles who are willing to put in the time it takes to find someone online. A lengthy signup process will naturally screen out people who aren’t serious about meeting their match. Jill isn’t satisfied simply with changing lives in the online world; she also endeavors to make a difference in the offline world. “I’ve been guided to do more live, in-person retreats for the members this year,” she said. She has organized three major retreats so far and has plans to expand this program to reach more people. The retreats have been soulful and thought-provoking experiences for the many members who chose to join Jill on her journey to far-off destinations. Jill has taken people SCUBA diving in St. Croix and to sacred sites of Ireland. She has guided meditations at beautiful destinations and created a sense of community and kinship among strangers on the trip. Jill told us the weekend Stargate retreat in Mount Shasta this June led to many aha! moments for participants, and she’s excited to bring members back to her hometown of Mount Shasta in September. The Soulful Singles Vision Quest will bring 20 members to Mount Shasta for a weekend of deep personal growth and spiritual exploration. Her two friends, Joy and Kirk, are facilitating this event. Then in March 2019, Jill plans to return for another sailboat adventure in St. Croix. She will take 10 members with her and provide in-person guidance to help them have fun while opening their hearts and minds to love. Jill said many single men and women appreciate the chance to go on a retreat on their own and make heartfelt bonds and friendships in the course of a life-changing week. Since launching Spiritual Singles, Jill has run the niche dating site with integrity and has made decisions that put the good of her members first. She said she pays close attention to the needs of spiritually conscious singles and ensures every feature has their best interest at heart. So it’s no wonder the site’s user feedback has been incredibly positive. Members have raved about the new features — from the streamlined messaging to the use of Private Mode — and the site has seen an uptick in activity as more singles send messages, upload photos, and take advantage of the upgraded experience. Jill said she often receives emails from new members saying the dating site felt like home to them as soon as they signed up. Her goal is to keep that energy going and make her dating site stand out by operating with compassion and consistency.